BORTE supplies service of OEM (original equipment manufacturer) and ODM (original design manufacturer) to all the customers. ● With the advantage of strong R&D, design force and rich experience in OEM/ODM service for more than 80 clients all over the world, BORTE can better meet the specific demand of OEM/ODM partners and help them increase their brand value and competitive advantage. ● Offer very flexible MOQ and very short lead time for OEM/ODM orders. ● Strict QC system to provide you with quality and brand assurance. ● Full marketing and technical material available for you in marketing and promotion. 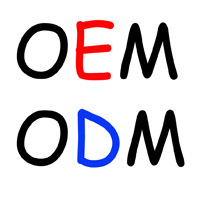 ● Customer provides OEM products requirement list or ODM requirements. ● BORTE reviews these requirements and offers the best suitable solution. ● BORTE offers the prices. ● The parties sign the cooperation agreement. We will take your brand as our own brand !